Italian ficton writer (1923-1985) and one of the leading figures in 20th-century post-modern writing. After beginning his writing career as a politically-motivated realist, Calvino would go on to produce short yet elaborate novels that serve as investigations of reading, writing, and thinking itself. However, it would be wrong to characterize Calvino’s late style as a complete break with his earlier work. Folk tales, and oral storytelling generally, were among Calvino’s major inspirations. Calvino spent the 1950s seeking out and transcribing examples of Italian folklore, and his collected folktales were published in George Martin’s acclaimed English translation. But oral storytelling is also prominent in Invisible Cities, which is perhaps his best-known novel, and which consists mostly of imaginary dialogues between Venetian traveler Marco Polo and Tartar emperor Kublai Khan. Calvino was born in Santiago de Las Vegas, Cuba. The Calvinos relocated to the Italian Riviera soon after, and Calvino would eventually be caught up in Italy’s tumultuous politics. After serving as an obligatory member of Mussolini’s Young Fascists, Calvino joined the Italian Resistance in 1943 and participated in campaigns against the Nazi army. This immersion in wartime politics had a significant impact on Calvino’s early ideas about writing and narrative. He would later claim that hearing fellow Resistance fighters recount their adventures awakened his understanding of storytelling. And the Italian Resistance also inspired his first novel, The Path to the Nest of Spiders (1957). Though both of Calvino’s parents were botanists, and though Calvino himself had studied agronomy, Calvino had more or less committed himself to literature by the mid-1940s. In 1947, he graduated from the University of Turin with a literature thesis. He joined the Communist Party that same year. During the 1950s, Calvino absorbed new influences and progressively moved away from politically-motivated writing. Although Calvino continued to produce realistic short stories during the decade, his major project was a trilogy of whimsical, reality-bending novels (The Non-Existent Knight, The Cloven Viscount, and Baron in the Trees). These works would eventually be issued in a single volume under the title I nostri antenati (Our Ancestors, published in Italy in 1959). Calvino’s exposure to Morphology of the Folktale, a work of narrative theory by Russian Formalist Vladimir Propp, was partially responsible for his growing interest in fable-like and relatively non-political writing. Before 1960, he would also leave the Communist Party. Two major changes in Calvino’s personal life took place in the 1960s. In 1964, Calvino married Chichita Singer, with whom he would have one daughter. And in 1967 Calvino took up residence in Paris. But this change would also have an impact on Calvino’s writing and thinking. During his time in the French metropolis, Calvino associated with literary theorists such as Roland Barthes and Claude Lévi-Strauss, and became familiar with groups of experimental writers, particularly Tel Quel and the Oulipo. Arguably, the nontraditional structures and painstaking descriptions of his later works are indebted to these contacts. But Calvino was also aware of the pitfalls of radical literary theory, and poked fun at post-modern academia in his late novel If on a winter’s night a traveler. In the novels that he produced after 1970, Calvino explored issues and ideas that are at the heart of many definitions of “post-modern” literature. 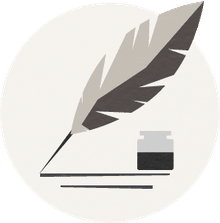 Playful reflections on the acts of reading and writing, an embrace of diverse cultures and genres, and intentionally disorienting narrative techniques are all characteristics of classic post-modernism. Calvino’s Invisible Cities (1974) is a dreamlike reflection on the fate of civilization. And If on a winter’s night a traveler (1983) mirthfully combines a detective narrative, a love story, and an elaborate satire on the publishing industry. Calvino re-settled Italy in 1980. Yet his next novel, Mr. Palomar (1985), would touch upon Parisian culture and international travel. This book meticulously follows the thoughts of its title character, an introspective but well-off man, as he contemplates everything from the nature of the universe to expensive cheeses and comical zoo animals. Mr. Palomar would also be Calvino’s last novel. 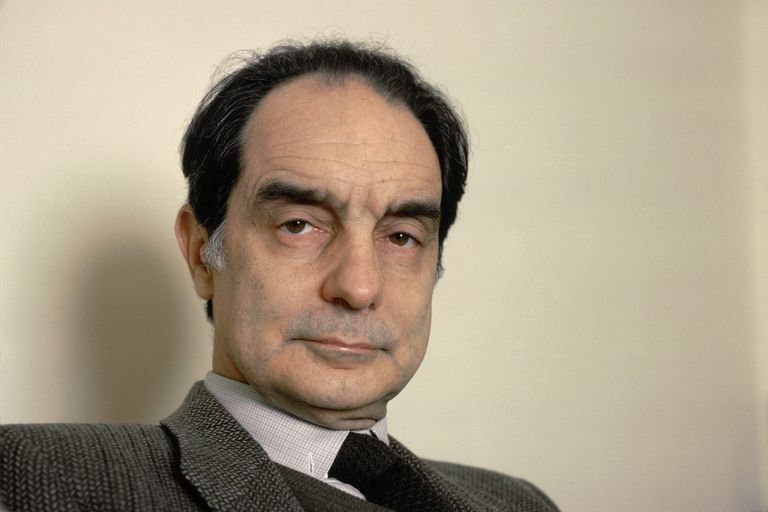 In 1985, Calvino suffered a cerebral hemorrhage and, on September 19, died in Siena, Italy.